I was honored that OneDesk was asked to have been part of “Tools Month” on #PMChat, a weekly Twitter chat that brings leaders in the project management sphere together. Last Friday’s chat was centered around collaboration tools, and we were very happy to be part of an interesting and thought-provoking discussion. If you missed it, you can listen to the 15 minute Pre-Game broadcast here and review our Twitter chat here. Following the chat, this question prompted me to dig deeper into the topic – after all, when you’re pressed for time are limited to 140-character answers, you can only hope that your audience will take the little that you give them and develop their own afterthoughts. Nonetheless, here are some of my thoughts on the topic in more detail. 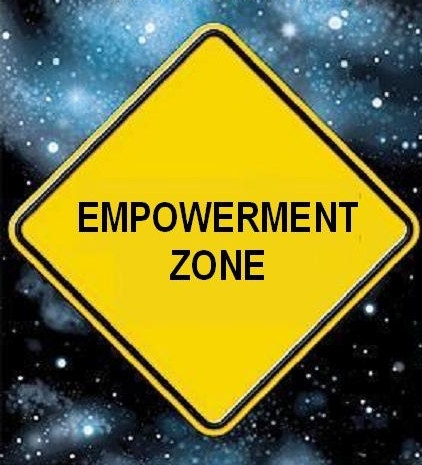 Empowerment, as we see it here at OneDesk, is the process of giving all team members approval to make decisions, and to contribute to the actions taken on these decisions. We believe that empowerment comes from having a sense of leadership. The key to empowering individuals is through effective communication, and tight collaboration. It’s all a chain reaction – to be able to promote collaboration, clear communication is essential. From a business perspective, communicating with all stakeholders involved in a project is the key to cultivating relationships, which gives companies an edge in the competitive marketplace. However, just forming contacts and relationships, whether its with colleagues, business partners, or customers, is not enough. Companies need to strengthen relationships and form a “special bond” with each stakeholder. They can do this by collaborating with them and engage them in conversations and decision-making processes. Businesses can build an “empowered” team by simply asking all stakeholders for ideas and feedback about their processes and offerings. They can even take it a step further by allowing whoever submitted the input to keep track of its progress. This makes the person feel like an important member of the team, as they can see that the company listened to their input and are actively doing something about it. So how does OneDesk help with empowerment? OneDesk is a suite of applications that are all connected. It is designed so that companies can eliminate the need to work with different disconnected software and instead, use one single software and keep track what all team members are working on. Topped with a layer of social collaboration tools, all team members – internal colleagues, external business partners, and customers – will be in constant contact at all times. Real-time editing, discussions, notifications and an activity stream allow everyone to be on the page from the start to finish. OneDesk builds empowerment within organizations by allowing companies to encourage team members to submit feedback and ideas. They can capture items from existing customers (via a unique customer portal or by email), from future customers (via a one-of-a-kind social media monitoring application) and from any other stakeholder. Regardless how items are sent, the beauty of OneDesk is that it keeps all information in one centralized place, without them getting lost. From there, all input can be turned into actionable items and piped into the development process. Lifecycle statuses allow all team members to keep track any item’s status. In essence, OneDesk helps teams build empowerment by allowing companies to create a knowledge base of project-related information, and allowing all their team members (or only certain ones) to easily access the information, stay in the loop, and feel like an integral part of the process.